Shamanism tour in Nepal is extremely new concept journeys in Nepal Himalayas. Shamanism is being practice over thousands of years worldwide & it is tested as healing method. Nepal has diverse nature and multi culture with over 115 ethnic group and most of them having their own Shamans. 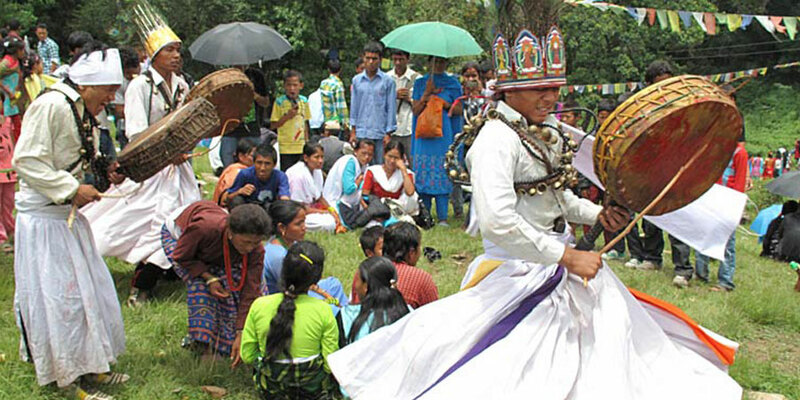 Shamanism in Nepal is being practice since a long time that co-exists with Hinduism and Buddhism so Nepal is one of the famous place for Shamanism tour in then the rest of the world.Shamans are known as Dhami and Jhankri although each ethnic group has its own name as per their dialects. Nepal shamanism tour provided travelers really new experience of life time journeys. Shamanism tour in Nepal is one of the emerging attractions for many spiritual travelers / trekkers visiting to Himalayas. Minimum one weeks holidays required for Nepal shamanism package tour but HJT extend spiritual journeys up to three weeks as per travelers wish and holiday frame. Himalaya Journey Team take to you in Himalayas for Shamanism tour including Langtang Sherpa village, Timal Kavre, Birta Deurali & rest of the places as per your holiday frame. We Himalaya Journey Trekking & expedition arrange Nepal shamanism tour around the year. Day 06: After breakfast, relaxing or shopping with own activities then our representative will drip to you Kathmandu International airport forward journeys or If you have time for Nepal will arrange accordingly such as Chitwan jungle safari tour, Lumbini Pokhara Nagarkot tour , Rafting etc.